Our annual Check-in @ Stansted event returns on Thursday 22 June at the Diamond Hangar London Stansted Airport. 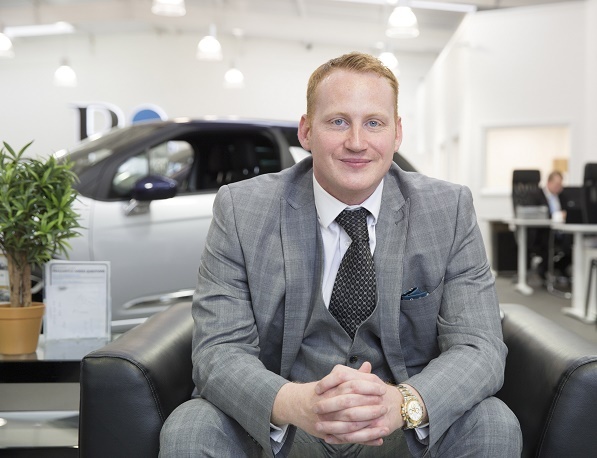 We are delighted to announce that this year’s guest speaker will be 34 year-old entrepreneur, Adam Stott who in just 9 years has built his business Big Cars from scratch into a £40million turnover business. Adam’s flair for business and entrepreneurial spirit has propelled him forward to become an international speaker on business, a best-selling author on Amazon and a business coach to a growing number of business owners. He established ‘Big Business Events’ in 2016, as a forum for supporting aspiring business owners, as well as established businesses seeking growth advice and will be providing FREE seminars at this year’s event (topics to be announced shortly). Nicola Wisbey, from The Sowerby Group added “We all want more when it comes to work, career and of course work/life balance. Whether you’re an employee, business owner or even looking at starting your own business, Adam is a person who will inspire you to take that leap and make things happen. His ‘can-do’ and forward-thinking attitude will lead, motivate and encourage you. You only have to Google Adam Stott to see how successful he really is”. Check-in @ Stansted - an event where "business has no boundaries"
By focusing on being a customer service business that happens to sell cars, Big Cars has broken the mould of traditional car dealers. 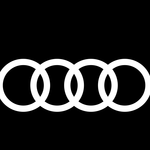 Its innovative use of Facebook has generated sales of £50 million and a following of more than 350,000 fans. 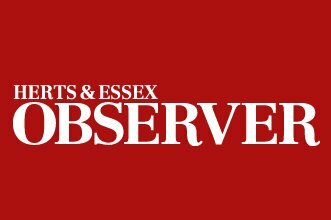 Big Cars now employs 75 staff and sells more than 3,000 cars annually from four dealerships in Essex, Suffolk and Surrey. In recognition of its achievements, Big Cars has twice been recognised by the London Stock Exchange as one of the Top 1,000 Companies to Inspire Britain (2015 and 2016). Adam’s flair for business and entrepreneurial spirit has propelled him forward to become an international speaker on business, a best-selling author on Amazon and coach to a growing number of business owners. He established ‘Big Business Events’ in 2016, as a forum for supporting aspiring business owners, as well as established businesses seeking growth advice. Adam was shortlisted for Entrepreneur of the Year at the 2016 Amazon Growing Business Awards. NEW LONDON STANSTED DEAL DELIVERS 9 NEW ROUTES & OVER 20M RYANAIR CUSTOMERS P.A. Ryanair, Europe’s No.1 airline, has announced a new growth deal with Manchester Airports Group (MAG) which will deliver 9 new London Stansted routes, including a daily service to Naples and a three times daily service to Copenhagen, as well as routes to Beziers, Cagliari, Clermont, Grenoble, Nice, Nimes and Strasbourg, extra flights on 13 existing routes, and over 20m customers p.a., supporting 15,000* jobs at London Stansted Airport. Over 15,000* “on-site” jobs p.a. “We are pleased to announced a new growth deal with Manchester Airports Group at London Stansted Airport, which enables Ryanair to add 9 new London Stansted routes this summer, including a daily flight to Naples and a three times daily service to Copenhagen, increase frequency on 13 existing routes and deliver over 20m annual customers this year. Having grown our London Stansted traffic from 13.2m in 2013 to over 20m this year, this new deal will allow Ryanair to continue to expand our route network at Stansted, our largest European base. “Today’s announcement by Ryanair is fantastic news for Stansted Airport and passengers from across the east of England and London. Ryanair is an important and valued partner for us at Stansted and we're delighted to support the airline's exciting expansion plans for the summer, which will help ensure Stansted remains one of the UK’s fastest growing airports and see us serve well over 25 million passengers a year within the next 12 months. BUSINESS SAFARI NETWORKING - GREAT SUCCESS! MEMBERS of Stansted Airport Chamber of Commerce (SACC) got together with colleagues from Cambridgeshire Chambers to make new connections this week. 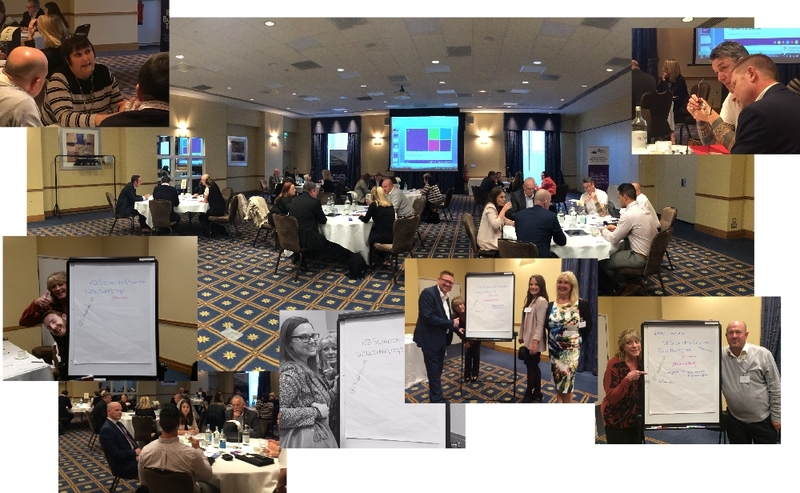 This was the second joint Safari Networking experience run by both chambers held at the Hilton London Stansted proving yet again to be a popular way to network. Members and guests circulated around a series of tables, spending two minutes each to introduce their company and explaining what sets it apart from competitors. 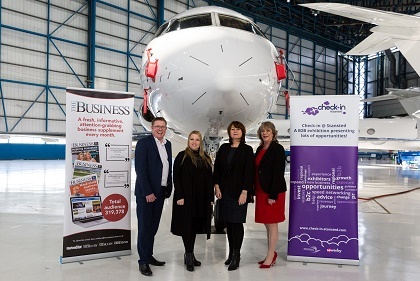 Julie Budden, chairman of the Stansted Airport Chamber of Commerce, said: “Safari networking is fun but also provides the structure needed to maximise the benefit of taking time out of the working day to extend business contacts”. There was even time for a bit of light hearted fun with some of the attendees with the twitter board! The event also featured a talk by Sue Sowerby, The Sowerby Group a local creative agency providing tips and advice on how to make the most of business with LinkedIn and social media. We would like to take this opportunity of thanking our friends at Hilton London Stansted for their wonderful hospitality. Leading leisure airline and package holiday specialist, Jet2.com and Jet2holidays, are marking a major step on their ongoing expansion with the launch today of flights and holidays from London Stansted Airport, their NINTH UK airport base and FIRST in the South of England. A total of 21 fantastic European leisure destinations are now on sale – Lanzarote, Malaga, Alicante, Dubrovnik, Faro, Madeira, Fuerteventura, Girona, Crete (Heraklion), Ibiza, Kos, Larnaca, Gran Canaria, Menorca, Paphos, Majorca, Pula, Reus, Rhodes, Tenerife and Zante – giving holidaymakers across North & East London and the East of England more choice and value. The launch of two weekly flights to Madeira makes this route exclusive to Jet2.com and Jet2holidays from London Stansted Airport. Jet2.com and Jet2holidays joined forces with Essex Royalty, Mark Wright, to officially launch its flights and holidays. Mark, accompanied by a ‘Red Team’ hit squad, marked the occasion with a MAJOR FREE FLIGHTS giveaway at Liverpool Street Station and on the Stansted Express. Thousands of commuters were surprised with a free trip to one of Jet2.com’s and Jet2holidays’ 21 European sun destinations which are now on sale from his local airport for summer 2017. As Jet2holidays wraps everything up in one package, holidaymakers from London Stansted Airport will now be given access to great value package breaks across thousands of 2-5 star hotels, with Jet2.com flights, industry leading 22kg baggage allowance and airport transfers included, through a £60 per person deposit. Offering full ATOL protection, Jet2holidays includes free infant places on all holidays as well as 0% credit card fees. With a UK based call centre, and the option to book online, over the phone or through travel agents, Jet2holidays customers from London Stansted Airport also benefit from 24 hour in-resort service. A total of 83 WEEKLY FLIGHTS will operate through Jet2.com, which has recently been voted the ‘UK’s Top Airline’ and ‘Most Loved Airline’ by users of TripAdvisor and Skytrax respectively. This includes DAILY services to popular hotspots Alicante, Faro, Ibiza, Malaga and Majorca and means that over 800,000 SEATS will be available from spring 2017. To mark the launch, 50,000 seats have been released for just £30. Withfriendly low fares offering fantastic value, award winning customer service, and great flight times, Jet2.com also offers 0% credit card fees. The flights will operate on SIX of Jet2.com and Jet2holidays’ brand new Boeing 737-800 aircraft, the first of which was delivered last week at a special ceremony at Boeing’s Delivery Center in Seattle. The first flights from London Stansted Airport will take off on Thursday 30th March 2017 to Alicante, Faro, Majorca and Lanzarote. 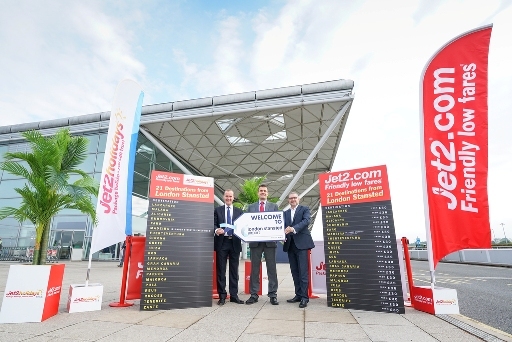 Jet2.com and Jet2holidays’ arrival at London Stansted represents a significant investment for the region. More than 250 NEW JOBS will be created with roles available including flight and cabin crew, engineers and ground operations staff. Steve Heapy, CEO of Jet2.com and Jet2holidays, said: “Because of our family friendly ethos, Jet2.com and Jet2holidays have enjoyed years of success and growth in northern England, Scotland and Northern Ireland. Today is an incredibly exciting chapter in our history as it marks the day we bring our family friendly formula to the south of England and become a truly national brand. “Jet2.com and Jet2holidays offer something for everyone, with flexible stays and 3,750 hotels providing everything from great value holidays through to city breaks and the best luxury hotels. We are looking forward to bringing our friendly low fares and great value package holidays to London Stansted Airport and we are confident our proposition will make us a resounding success. 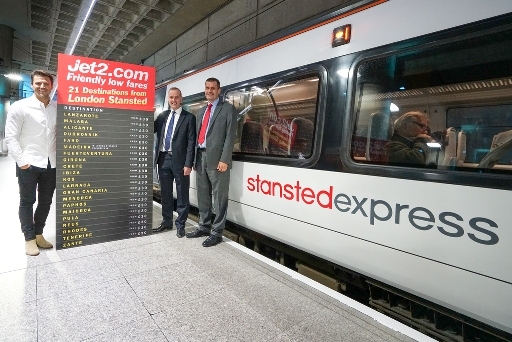 Andrew Cowan, Chief Executive, London Stansted Airport said: “We’re delighted that Jet2.com and Jet2holidays has chosen Stansted as its ninth UK base and the first in the South of England. Jet2’s arrival at Stansted from next spring will create 250 new jobs at the airport, and support more jobs across our region, as well as offering passengers in London and the East of England a fantastic choice of flights and package holidays to 21 of Europe’s most popular and exciting destinations. Alicante – operating daily with Jet2.com flights from £39 one way, including taxes. Crete (Heraklion) – operating three times a week with Jet2.com flights from £70 one way, including taxes. Dubrovnik – operating three times a week with Jet2.com flights from £39 one way, including taxes. Faro – operating daily with Jet2.com flights from £39 one way, including taxes. Fuerteventura – operating twice weekly with Jet2.com flights from £70 one way, including taxes. Girona (Costa Brava) – operating twice weekly with Jet2.com flights from £39 one way, including taxes. Gran Canaria – operating three times a week with Jet2.com flights from £70 one way, including taxes. Ibiza – operating daily with Jet2.com flights from £39 one way, including taxes. Kos – operating twice weekly with Jet2.com flights from £70 one way, including taxes. Lanzarote – operating four times a week with Jet2.com flights from £70 one way, including taxes. Larnaca – operating three times a week with Jet2.com flights from £70 one way, including taxes. Madeira – Exclusive to Jet2.com operating twice weekly with flights from £70 one way, including taxes. Majorca – operating daily with Jet2.com flights from £39 one way, including taxes. Malaga – operating daily with Jet2.com flights from £39 one way, including taxes. Menorca – operating three times a week with Jet2.com flights from £39 one way, including taxes. Paphos – operating twice weekly with Jet2.com flights from £70 one way, including taxes. Pula - – operating twice weekly with Jet2.com flights from £39 one way, including taxes. Reus – operating four times a week with Jet2.com flights from £39 one way, including taxes. Rhodes – operating three times a week with Jet2.com flights from £39 one way, including taxes. Tenerife – operating six times a week with Jet2.com flights from £70 one way, including taxes. Zante – operating twice weekly with Jet2.com flights from £70 one way, including taxes. This year, Jet2holidays launched Resort Flight Check In, an innovative hotel check in service which means customers can enjoy a hassle-free end to their holiday. It is the first and only tour operator to offer it free in European resorts and is available in 20 hotels in Benidorm plus more than 40 hotels across Majorca and Tenerife.